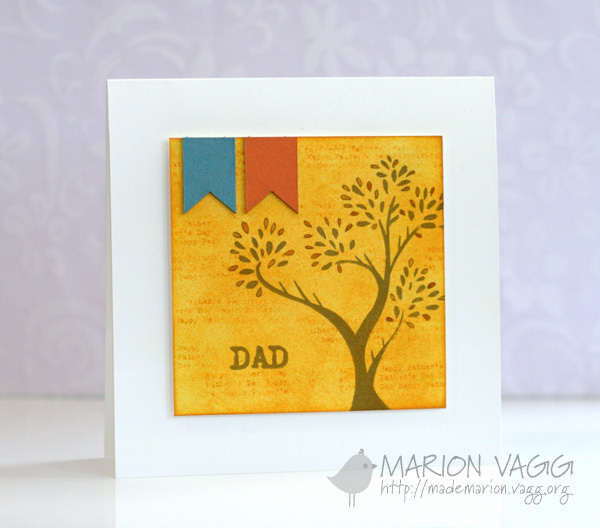 Popping in very quickly to announce the winner of the little giveaway I had on my blog last week. And before I head off, I made this card a while back but never shared it. 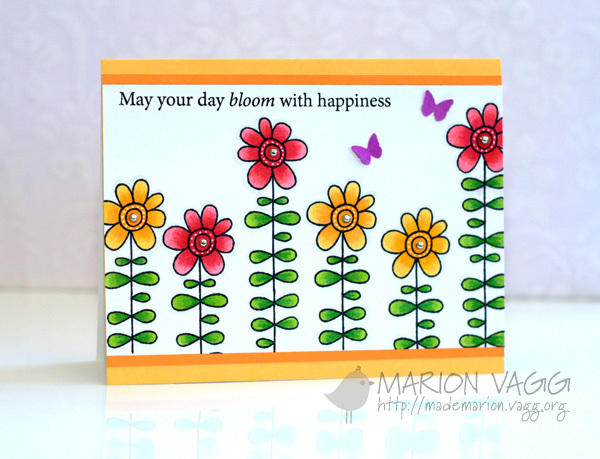 It uses the Jane’s Doodle set “Doodle Flowers”. Hopefully it will brighten your day. 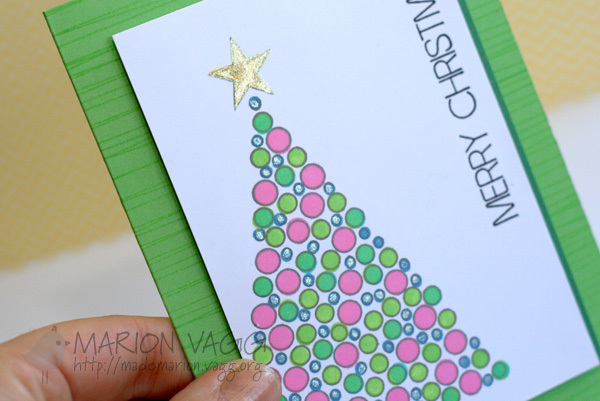 Featuring Christmas Stamps and a Giveaway! 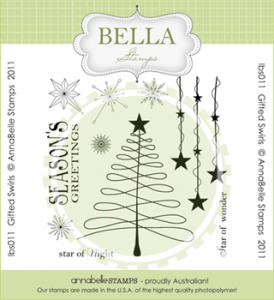 For this week’s Friday Feature at AnnaBelle Stamps, the Belles are showcasing Christmas Stamp sets. Go here to check them all out. 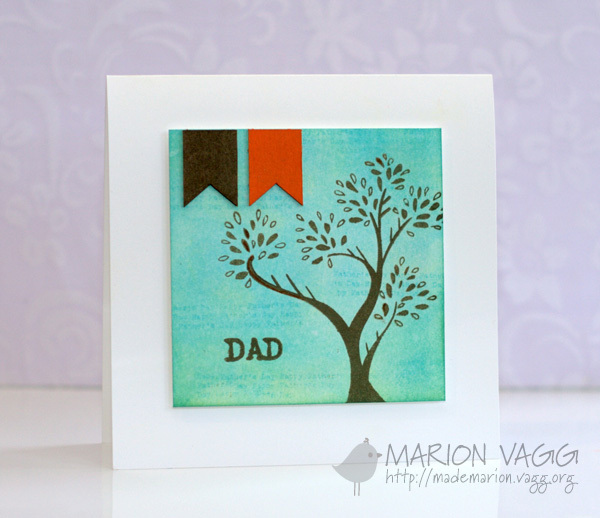 Today I have used the Jewelled Tree stamp set. 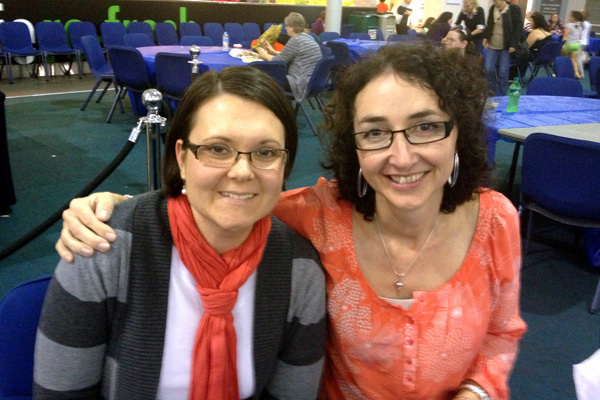 Now a couple of weekends ago I did a little spot of shopping at the Brisbane craft show – and among quite a few purchases, I bought some Hero Arts shadow inks. So today I went to town using the colours Bubblegum, Green Hills and Pool. And I also used my new Sakura Gelly Roll pen. I’m not usually a glitter girl, but I do like my new pen. A lot less mess! Hopefully you can see the glitter goodness a bit better in this photo. Giveaway! 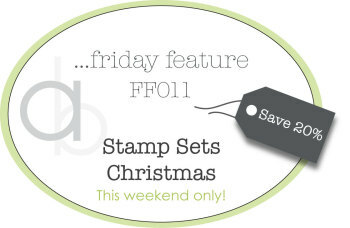 As we are focusing on Christmas stamp sets, how about a giveaway? I have an extra copy of the Gifted Swirls Stamp set (see image below). It is not the set I have used today, but it is one of the many Christmas sets available at AnnaBelle Stamps. Leave a comment on this post by Monday 9am (AEST) and I’ll randomly choose a winner. I am happy to post worldwide 🙂 Want to see how this stamp set can be used – head here and check out some projects. Andrea also has 20% off all Christmas sets for this weekend only until midnight Sunday (AEST). Be sure to check out the rest of the Belles’ projects to see how they have used these sets – their links are on my side bar. 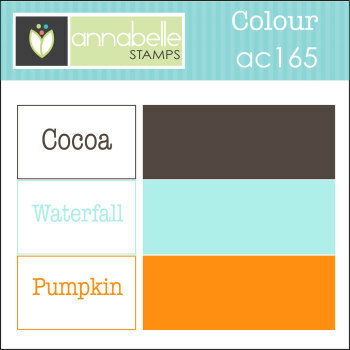 Today I have another Topical Tuesday video to share with you over on the AnnaBelle Stamps blog. 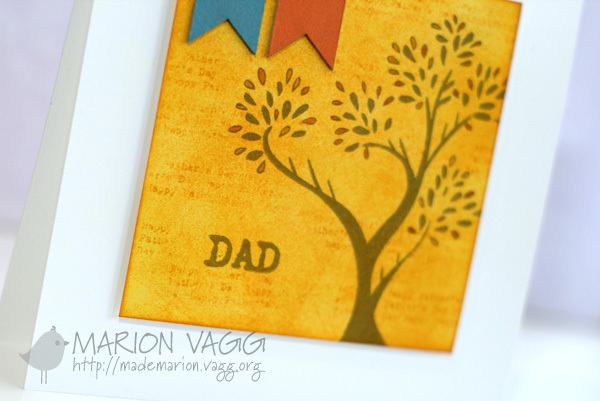 Here is a look at the card I’ve created. 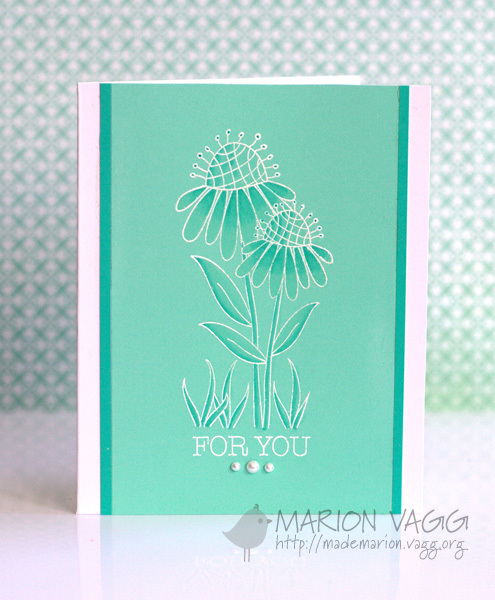 I am back with another card for the Muse Card Club. I have a very CAS card for you this week. To create the ombre background I used Copic markers and kept blending the colours together until I had a smooth gradient (see the supplies for the colours I used). 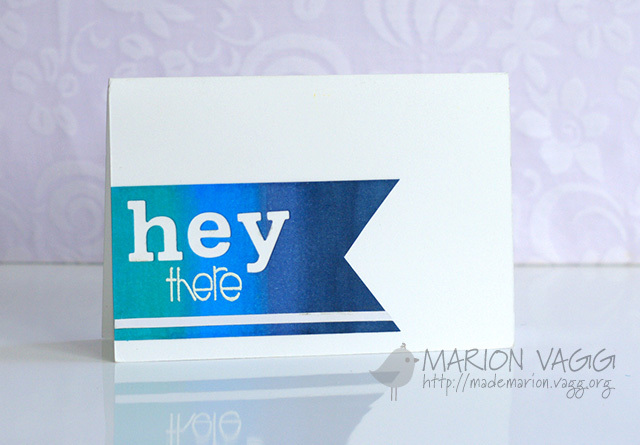 I then die cut the word ‘hey’ and used the negative space. The ‘there’ is white heat embossed. I am so glad that you stopped by today. I look forward to seeing your creations.